We are a leading Manufacturer of carpet runners, indian flat weave woollen durries carpet and royal mughal carpet from Jaipur, India. 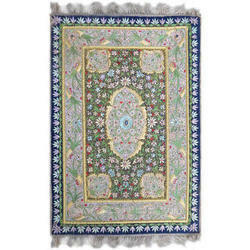 With hard-earned experience of our adept professionals, we are engaged in offering a broad gamut of Carpet Runners. Our given carpet runners are designed by our professionals keep in mind the current market trends using excellent quality material. Our entire range of carpet runners is gaining appreciation for their unmatched quality and appealing look. 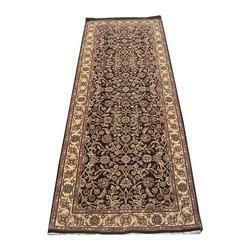 Furthermore, we provide these carpet runners in various colors and designs to cater the wide needs of customers. Established in the year 2000, Udai Exports is among the leading and trustworthy organizations of this domain, engaged in manufacturing and supplying a wide range of Carpets and Rugs. Our offered assortment of products is comprises of Hand Knotted Silk Carpets, Hand Knotted Woolen Carpets and Woolen Rugs. Offered products are manufactured from supreme grade basic material by using modern tools and technology. All these products are made as per the industry approved parameters with the supervision of our skilled and experienced workforce. To suit the increasing requirements of our prestigious patrons, we are offering these products in various pattern, sizes, colors and designs. Apart from this, we are offering our products at leading industry price range. Our offered products are highly demanded across the market for their optimum quality. We are backed by a highly advanced and well equipped infrastructure. With the help of our infrastructure we are able to manufacture the offered products in large quantity also as it is capable to manufacture the offered carpets & rugs at best production rate. To handle our facility, we have recruited a team of highly skilled and well trained team members. We have selected our employees on the basis of their education, skills and working experience. Because of these professionals dedicated efforts and sincere supports, we have attained such a notable place in the market in such short span of time. Further, to deliver the carpets & rugs we have established a wide distribution network across the world. With the help of our distribution network support, we are able to deliver the product safely in committed time frame. Owing to our transparent and customer centric approach, we have created a vast client base across the market. Our organization is growing with a fast rate because of valuable assistance of our mentor, Mr. Arvind Singh Chaudhary. His management skills, ability to handle crucial situation and regular motivation, enabled us to achieve such a remarkable peak of success in the market. Our Flat Weave rugs exhibit the creative skill of the artisan at work. 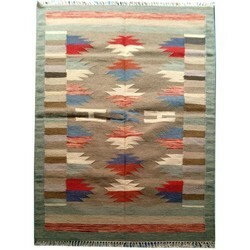 Having a Hand-knotted Kilim Woolen Durrie Rug is owning a 'One-of-a-kind' handmade piece of art. They are extremely long-lasting and can last different creations and enhance an important family heirloom.It is Flat Weave by weavers. Any quality development can be elaborated. Royal Mughal Carpet also spelled Moghul or Mogul, any of the handwoven floor coverings made in India in the 16th and 17th centuries for the Mughal emperors and their courts. ... One of the most notable is the Girdlers' Carpet, in Girdlers' Hall, London.